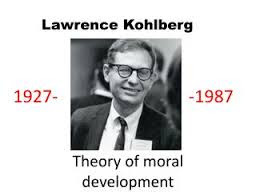 Lawrence Kohlberg (1927-1987) devised a theory in which he explained s six stages of moral development divided into three levels. Morality is the system one uses to decide what is right and wrong; how one’s conscience affects choices. 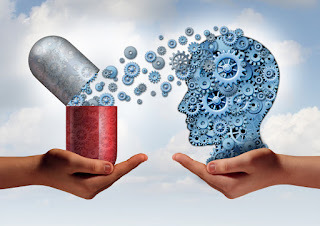 Moral development refers to the capacity of the individual to act in accord with conscience and moral imperatives rather than egocentric values. He was inspired by Swiss psychologist Jean Piaget and the American philosopher John Dewey. By the second year of life, “moral emotions” are emerged. By 36 months, most children demonstrate the internalization of parental standards. During the school years, the importance of rules and adhering to them become well defi ned. Moral dvelopment after adolescent period is complex and influenced by social factors. Kohlberg explained three levels of reasoning and six stages of moral development . Each level has two stages that represent different degrees of sophistication in moral reasoning. Postconventional - use the principle behind the social norm to direct their behavior. The first two stages have preconventional level of morality. During stage 3 and 4, child shows conventional level of morality. Postconventional level of resoning is observed during stage 5 and 6. Parents influence the moral development of their children. Kolberg's theory explained moral development in a philosophical and psychological context. Smeltzer SC, Bare BG. Brunner and Suddarth's Textbook of Medical-Surgical Nursing. 10th edition. (Edrs). Philadelphia: Lippincott Williams & Wilkins, 2004.